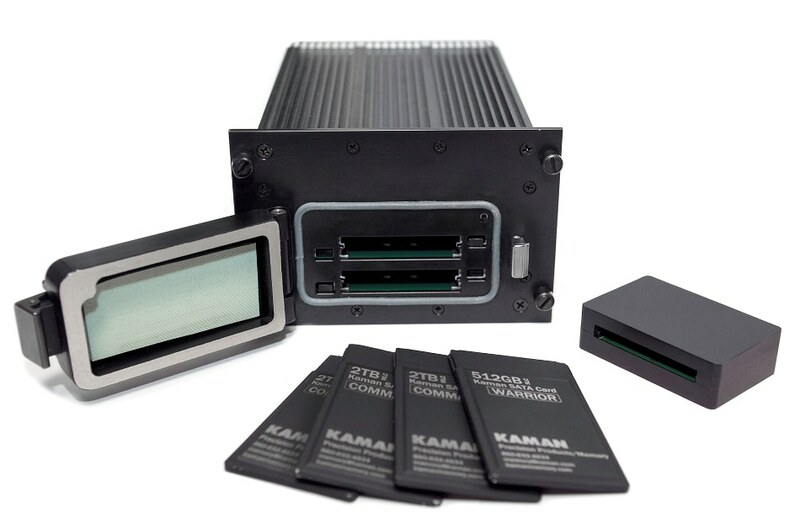 The Memory Division of Kaman Precision Products, Inc., a world leader in the design and manufacture of digital storage systems and media for military and aerospace applications, announces the AMADEUS – the Advanced Memory and Data Exchange Universal System. The AMADEUS includes the Model 9740 Multi-Port® data transfer unit which includes four removable memory cards (RMC) and a mini-Ground Station Adapter (GSA). The Model 9740 provides simultaneous data interface over 10GB Ethernet, Mil-Std 1553, RS-232/422 as well as options to record multiple SMPTE 292 and NTSC (RS-170) video/audio channels. Kaman Memory continues to aggressively purse innovative enhancements that will improve capacity, read/write exchange rates, state-of-the-art data security, favorable size, weight, power, and a modular design that can support a number of unique and ever-changing customer requirements. Kaman Memory experts look forward to discussing current products and invite visitors to assess the capabilities of the new products.